This is part one of a series talking about games that were ambitious and tried something new. In this blog, we’ll talk about WinBack, an oft-overlooked Koei game. 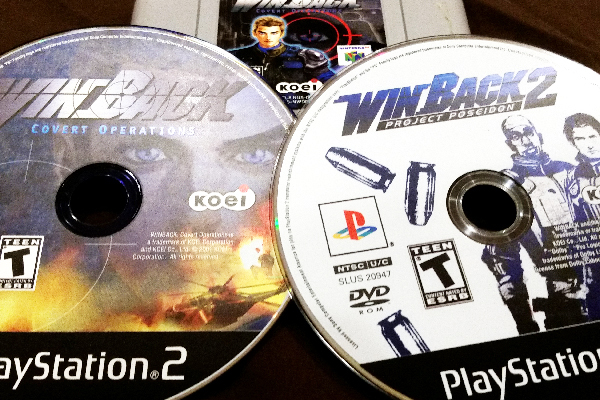 WinBack was the first title to introduce what many consider to be the modern cover system to shooters. Originally released in 1999, WinBack was a slow paced, cover shooter with military espionage themes. Before Gears of War emphasized the importance of a cover system in a third person shooter, Koei’s Omega Force team gave us WinBack. Originally an N64 title that later saw a PS2 port and sequel, WinBack followed Jean-Luc Cougar, a secret agent who had to infiltrate a satellite command center. WinBack borrowed themes of espionage and military action from other sources, such as the previous year’s release Metal Gear Solid. 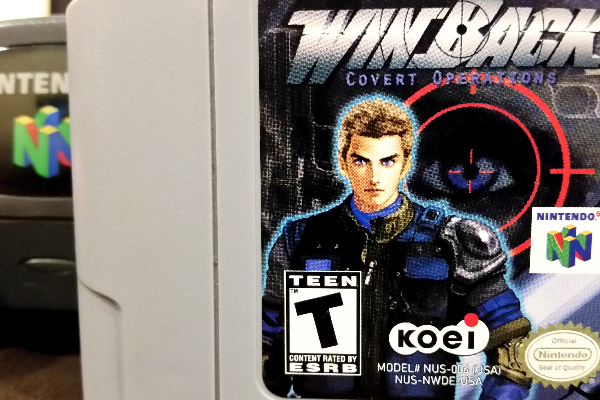 WinBack may have riffed on Metal Gear Solid, but it was set apart by its cover system, which would go on to influence a plethora of third person shooters. Jean-Luc took cover behind walls and obstacles, in either a standing or crouching position. With a single button press, he’d magnetize to nearby cover, allowing the player to step out and fire at enemies when they’re most vulnerable. Omega Force was confident enough in their mechanic to make it an essential focus of the game. Medkits were occasionally found throughout the levels, but Jean-Luc could easily be outgunned and outnumbered outside of cover by the terrorist group Crying Lion. Death came swiftly when not behind cover. The “run and gun” method was not an option here. Jean-Luc must hide behind cover, tag his targets, and pop out to fire the killing shots. WinBack didn’t just introduce the cover system mechanic and suggests you use it; it required you to use it, and to use it successfully you first had to understand it. Players tagged an enemy as a target, which meant the camera followed that target. Alternately, they alternated between tagged enemies to choose a specific target. This allowed the player to move out of cover and take out enemies much easier. WinBack also introduced the concept of a laser sight, allowing players to easily see where they were aiming, even if not locked on. This was especially useful when hiding behind cover and trying to use the hand gun or machine gun to attack enemies from afar. WinBack 2: Project Poseidon was a PS2 and Xbox release, developed by Cavia. Despite being published by Koei, it retained little connection to the original WinBack. WinBack 2 was a far more straightforward, arcade-like experience. Each mission broke into three episodes. Each episode involved you playing through it twice as two different characters – one who took the “A” route, and one who takes the “B” route, with the common goal of helping each other fight hostages and clear the episode. Successfully clearing a route required use of the cover system. It was similar as before – you snapped to a wall or barrier, then popped out to shoot, threw grenades and flashbangs from cover, with the character’s animation changing depending on the type of cover and where you were. The big addition was the new hit detection system, which allowed you to either arrest an enemy by shooting them twice in an arm or leg or to kill them via a headshot or torso shots. It some regards it was an ambitious game, but ultimately failed to come together as an entertaining whole. After Project Poseidon, the WinBack series was forgotten. Flash forward a few years and WinBack has influenced generations of games and changed our definition of what gameplay in a third-person shooter should be. By allowing the player to take cover the dynamics of combat changed, as well as the pacing of gameplay. It’s hard to imagine a shooter without a way to hide from enemies, sneak up on them, and take them out unexpectedly. Giving the player a cover mechanic empowers them and gives them the ability to choose. The overall game design may have inevitably evolved and given us a cover system, but the WinBack series did it first. For that, it deserves some recognition.